Martin is one of the finest guitar manufacturers in the world, and it has been killing the game for over a century now. Martin’s clientele includes several noble artists such as Elvis Presley, Johnny Cash, Eric Clapton, Paul McCartney, Boby Dylan, and James Taylor. It should come as no surprise that the brand will continue to live on forever. 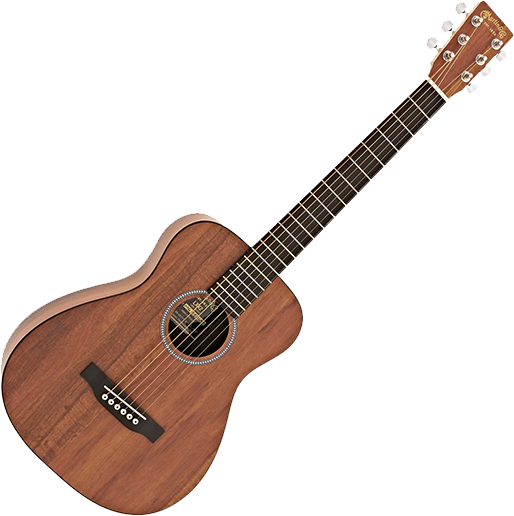 Dreadnoughts are the top-selling guitars of Martin. They invented that body shape after all. But Marti surely is not afraid to venture into something new. 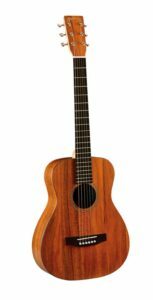 One remarkable non-typical acoustic guitar from its catalog is the Martin LXK2 Little Martin, the smallest guitar the brand has ever produced. 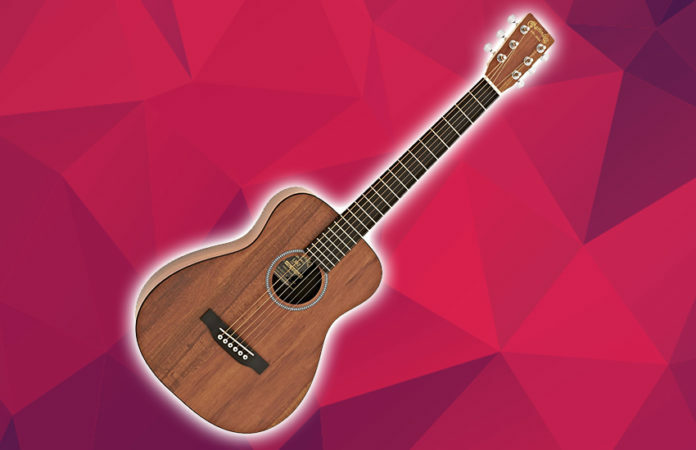 The Little Martin a 3/4-size guitar that is 3 inches shorter than a regular Martin guitar. It may be small, it is big on tone, quality, and flexibility. While designed for travelers and students, does the LXK2 Little Martin meet a pro player’s standards? Find out. Let us start off with a downside, something that is a distinct quality of Little Martins — the koa high-pressure laminate (HPL) top, back, and sides. Yes, this is a Martin with no solid wood anywhere. But it does not the LXK2 Little Martin less of a Martin. In fact, the hardware makes up for the “mediocre” tonewood. All over the guitar is sustainable wood certified parts that guarantee high-quality hardware and construction. On top of that, the neck is made of stratobond and houses its own patented neck mortise. The side has a solid FSC certified Richlite bridge (which boasts more than enough sustain) fitted with a compensated white Tusq saddle. On the headstock is a set of closed chrome tuning machines. Again, no single piece of natural materials can be found, but nothing to worry about. Going back to the laminated tonewood, you would expect something that is not as good as the other Martins. To begin with, HPL wood can still sound good if the whole guitar is put together in the right way. In the case of the LXK2 Little Martin, the sound is neither below average nor above average. The LXK2 Little Martin gives a well-balanced sound with enough low-end response. 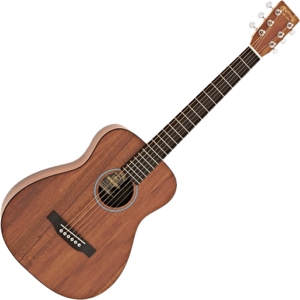 It is not comparable to a full-size dreadnought, but it delivers more bass compared to other 3/4-size acoustic guitars in this price range. The highs are crisp and clean, which is well-defined enough. The projection is there to make up for the low-end response. The Verdict: Should You Buy LXK2 Little Martin? Do not be put off by the choice of tonewood. Sure, the HPL koa body is not the best, but it gets the job and that is what matters. If you are a pro guitarist, this is not the best option on the market, that is for certain. But if you travel a lot and you love fingerstyle, the LXK2 Little Martin could not be a better choice. Overall, the LXK2 Little Martin delivers the brand’s signature sound in a compact body.